One year in the life of a family of reindeer herders in Finnish Lapland. A study of hard work, hard-earned leisure, and an intricate bond between man and nature. Brothers Aarne and Lasse Aatsinki are cowboys of the Arctic. Quiet but good natured, dare-devilish but humble, rugged but gentle, and exceptionally knowledgable when it comes to their little slice of wilderness. These men are what John Wayne wanted to be. 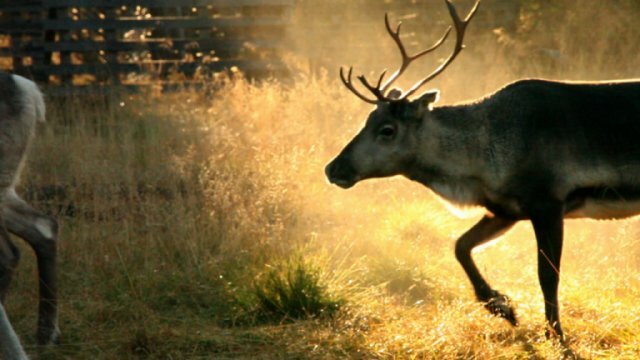 The brothers, along with their wives and children, live well north of the Arctic Circle in Finnish Lapland, where they are the leaders of a collective of traditional reindeer herders who manage the last group of wild reindeer in all of Finland. AATSINKI follows the family for the span of one year, quietly observing their seasonal routines and the difficulties and joys of a life so closely tied to the land.